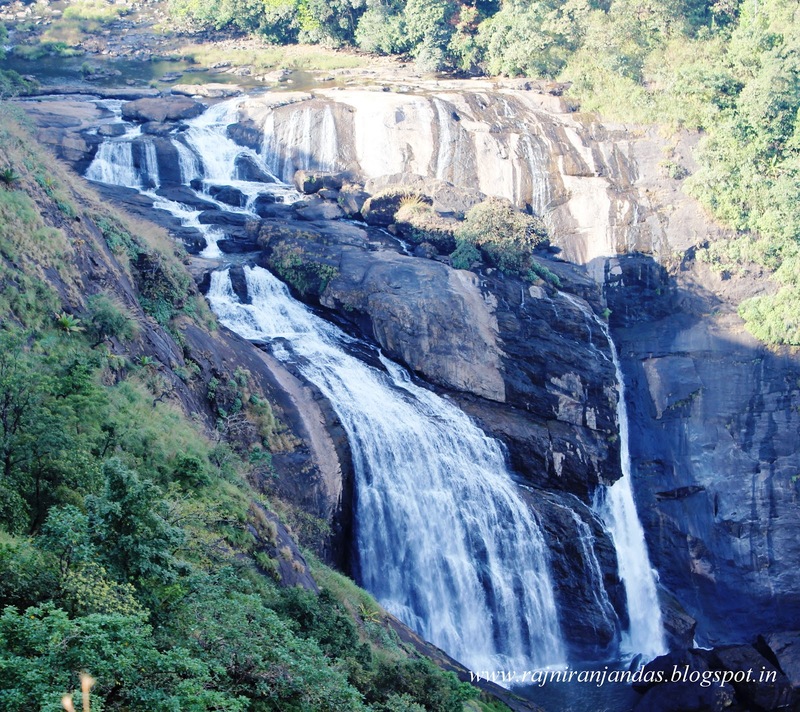 Tales Of A Nomad: Mallalli Falls- The Largest Waterfalls in Coorg...!! Mallalli Falls- The Largest Waterfalls in Coorg...!! We were enroute to Beedhalli, the starting point of our trek to Kumara Pavatha when the guide excited us by mentioning the name "Mallalli falls". After a winding drive from Somwarpet through the coffee and pepper plantations, a detour off the main road took us on to a mud one. A kilometer later we had to stop the vehicle and then trudge a kilometer further on the sloping mud road to reach this spectacular falls. 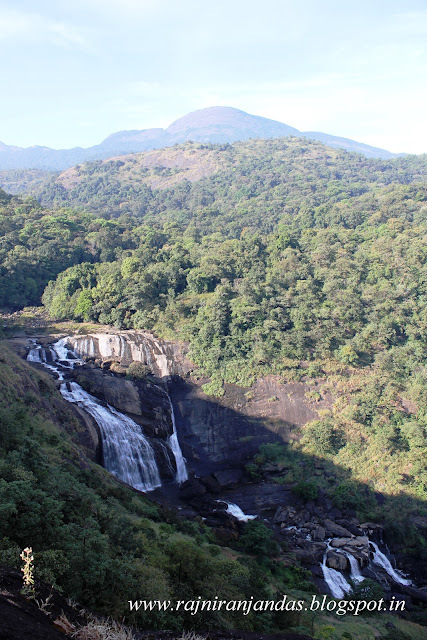 Surrounded with lush green canopy at the foothills of Pushpagiri range, Mallalli falls claim to be the largest waterfalls in the whole of Coorg. The falls were not in full vigour and the protruding rocks which usually gets submerged during the monsoons were clearly visible. Still, it looked magnificent with a couple of cascades before splashing into the plunge pool. It further flows over a few rocks before resuming its full flow. River Kumaradhara tumbles over the rocks into the steep gorges to form this beautiful falls in the Western ghats. 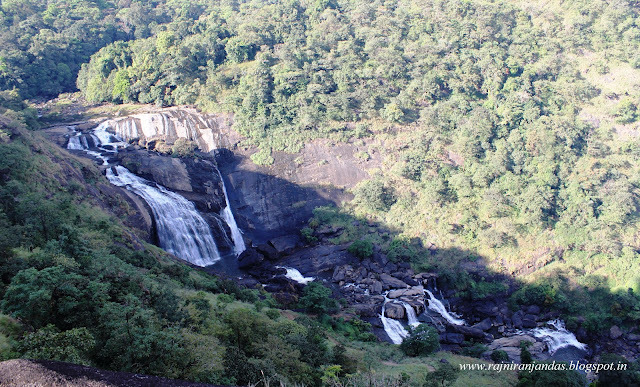 Kumara Parvatha which is a part of the Pushpagiri range forms the background of Mallalli falls and the green canopy. The whole landscape is breathtakingly gorgeous. Right in the middle of the vegetation, the hills and the waterfalls is a house; all alone in the wild. An exciting place to spend a wild life! Time constraint did not allow us to explore the falls and we had to be content with the views from a distance. There are steps which lead you down to the foot of the falls. Also one can trek over the rocks to have a mind blowing view from the top. A visit to these falls during the monsoons or immediately after would undoubtedly leave everyone spellbound. All that one can see would be the greenery and the white water. The nearest stay options available are in Somwarpet. Signing Note- Undoubtedly one of the best falls in Western ghats...!! Wish you all a Happy New Year 2013...!! :), It is splendid vistas all around. Lovely pictures . Yet to visit this beautiful place . Thank you. That wild house is definitely a tempting one. Nice to see you here. Beautiful pictures...I spotted the house, but only after zooming the image..nice shots. I was told by my guide that it belongs to a person called Hegde. Not sure whether there is a stay option over there. Thanks Kusum. There is a trail to the base. Stunning falls. Thanks a lot for sharing these wonderful pics. Very beautiful pics and description!! KP is a nice place to trek - the best in Karnataka I guess. Im going there this weekend for the second time. But we will be going from the Kukke side, meaning we will be missing this falls. Maybe some other time. It is a wonderful trek. Get down on to the Somwarpet side so that you can visit the falls. I knew only about Abbey falls. Thanks for this. This falls is gorgeous during monsoon. Do visit then. Wish YOu A Happy New Year 2013. Thanks for your posts. Keep up your good work. Sir please look into my Heritage of India blog. Sir i am exploring Indian Heritage and Culture in various aspects in my Heritage of India blog. Thank you Srinivasu. Shall definitely go through your blog. Lovely place. Lovely pics. You've given me a new direction to explore. Thank you. Thank you. 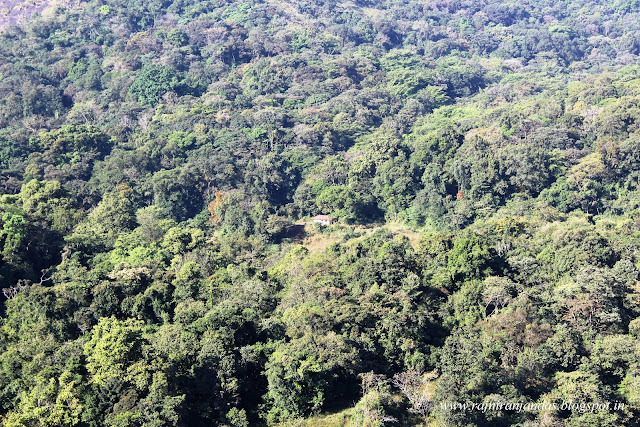 Coorg has a lot of hidden treasures like these. Nice pictures! Nice story, too!